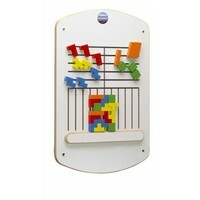 This wall game can be easily mounted to any wall in your waiting room or play corner. It offers kids one of the most popular games: 4-in-a-row. 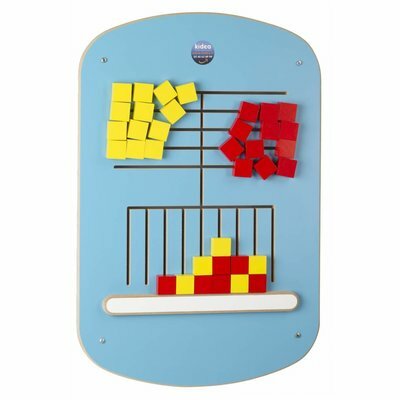 Who can realise first "four in a row" with his/her own coloured play elements, either vertically, horizontally or diagonally. 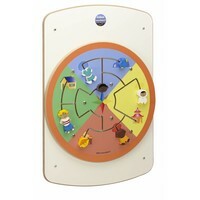 Kids will undoubtedly come up quickly with many other play variants for this wall game. 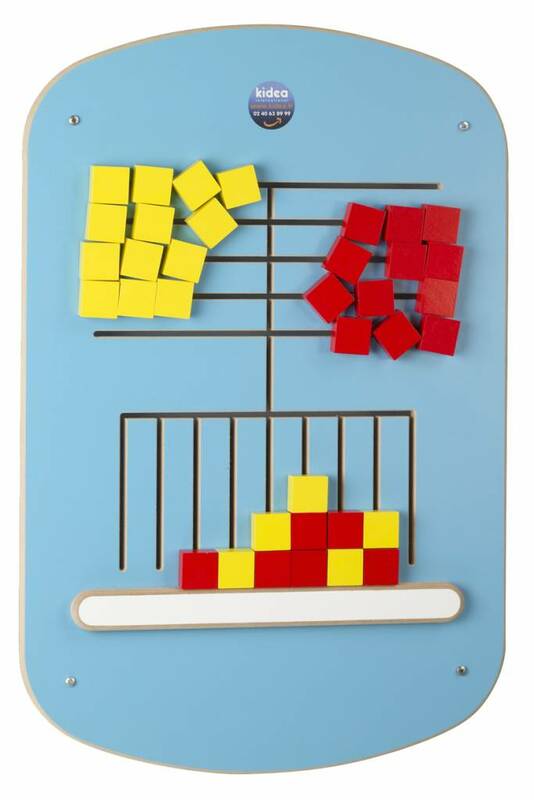 Slightly younger children (3 - 7 yrs) for example can try accomplishing rows of three whereas older children (6 - 12 yrs) need to make sequences of minimal 4. 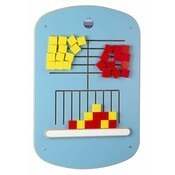 This kids wall game contains 36 play elements (18 yellow, 18 red) which are firmly anchored to the play system. Consequently, you offer children not only an extremely safe time filler but the play corner will also look neat and tidy at the same time.